One might think that these were wild cats, but in fact, the majority of them call one of those colourful houses their home. If the cat is registered with the city's Department of Environment, it can wander around the city freely. In Iceland, people often say that cats choose their owners, but not vice versa (as one might think). This has quite often led to cats simply migrating to a neighbouring house, with no regard for their previous owner's feelings. In February 2018, this felis-loving city got it's first "cat-café". 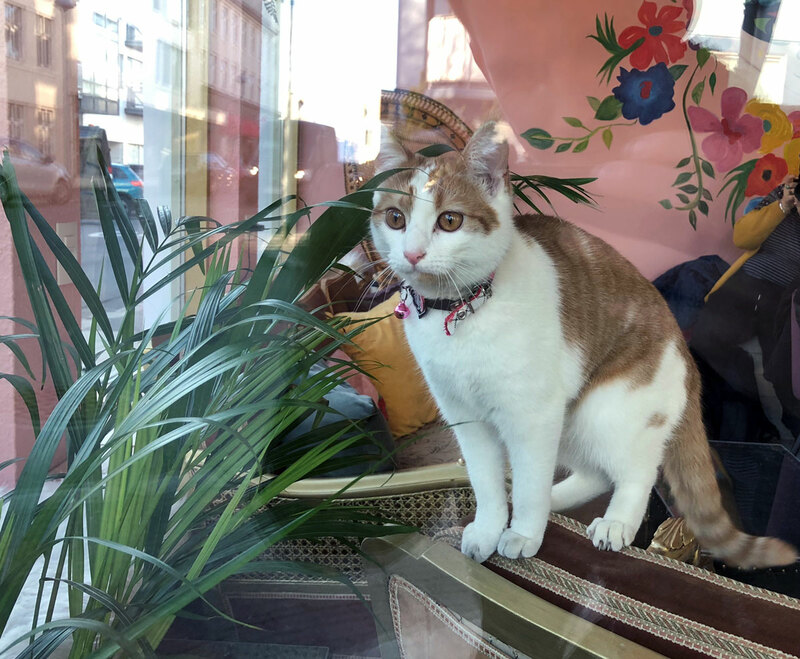 Located in Bergstaðarstræti in 101 Reykjavík, the coffeehouse is home to orphaned cats which guest can make friends with - and even adopt! A new regulation allowing people to take their pets into restaurants and café made this possible. "Kattarkaffihúsið", or the Cat Café, offers beverages and tasty bites below a neon-sign saying "Meow". Haruki Murakami, the noted Japanese author, wrote an article about Reykjavík after having visited the city for the Reykjavík International Literary Festival. In his article, Murakami couldn't help address the city's large cat population. Soon after, a short story was published in the New Yorker called "Town of Cats". We like to think the story was inspired by our cat-loving city.